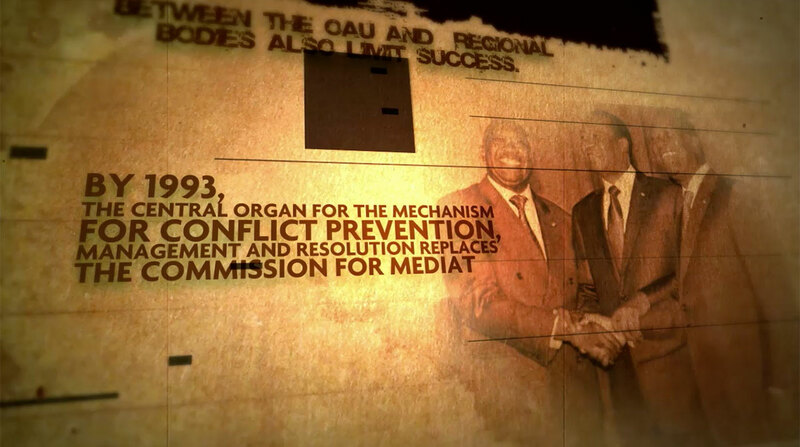 An animated history of mediation efforts by the Organisation for African Unity (OAU) and African Union (AU) to deal with conflict on the continent. 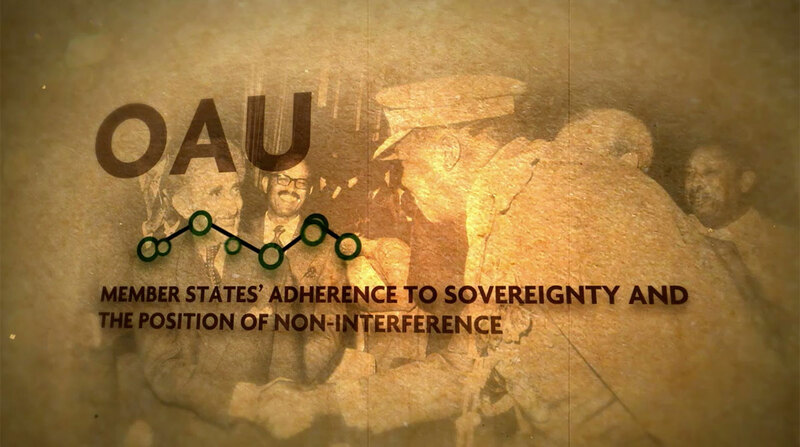 Little historical footage exists of mediation efforts on the Continent – much of it being behind-closed-doors third track diplomatic efforts. So we opened up the photographic archives and chose to base the story around period images. The organic, gritty textures were chosen to reflect earthy, African tones and a colour palette based around the African Union brand identity. 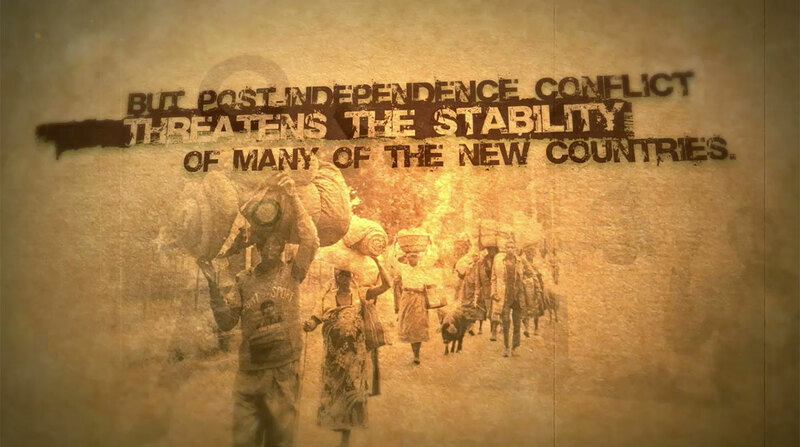 The ‘faded parchment’ treatment suggest historical reflection and perspective. 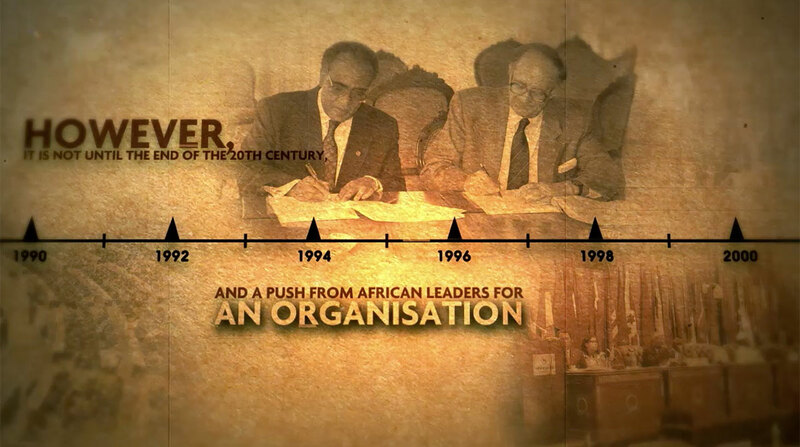 The film was commissioned by the African Centre for the Constructive Resolution of Disputes (ACCORD) to celebrate the 50th anniversary of the OAU/AU in 2013, the Year of Pan Africanism and African Renaissance.